We are manufacturing and exporting wide gamut of Rice Bags. To meet varied needs of our customers, we offer the entire range of rice bags in different sizes and specifications detailed by patrons. 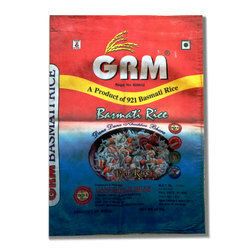 Further, these rice bags are eco friendly and widely demanded in the market for their smooth finish and durability. Looking for Rice Bags ?